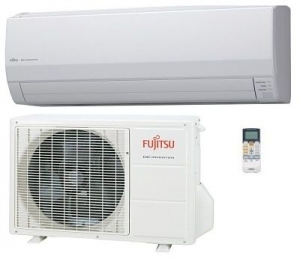 The LU range of wall-mounted systems is the premium model from Fujitsu. It has a slimline design and a powerful operation. The system can operate for 20 minutes continuously at maximum air flow and compressor speed, ensuring the room is cooled or heated more quickly. It includes a weekly timer facility, and ON/OFF can be set up to four times a day.